When completed, our project Tool Kit and Manual will be available here for download at no cost to you. It will include OAR (OpenSimulator Archive) files for one step installations of regions in an OpenSimulator virtual world grid, individual IAR (OpenSimulator Inventory Archives) digital asset files for efficient avatar inventory stocking, and a large library of avatars for project participants and machinima story characters. 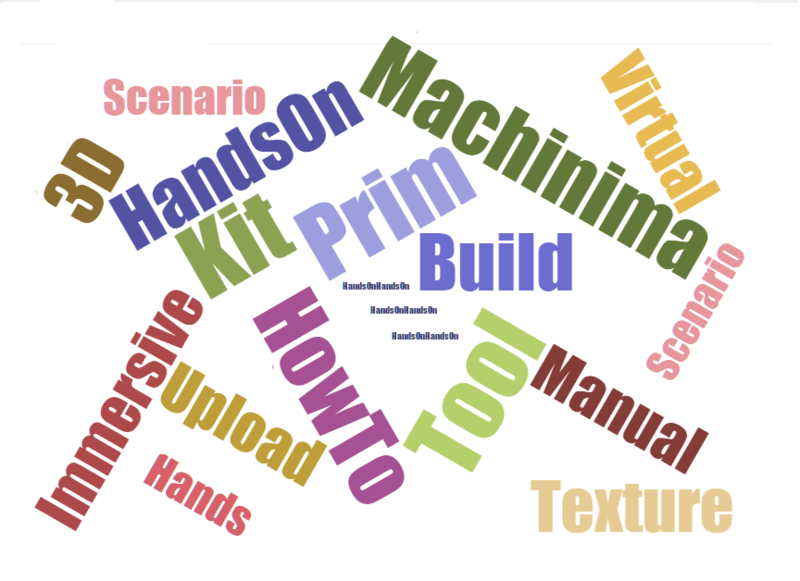 Our goal is to offer an easy-to-understand and easy-to-assemble development kit for 3D immersive virtual worlds. Our Welcome Workshop region OAR will include interactive tutorials designed specifically for journalists, videographers, publishers and advocates for unheard voices, to learn inworld avatar skill sets and explore OpenSimulator’s unique, creative affordances for developing immersive 3D stories and producing innovative machinima. Our Tool Kit and Manual will provide other journalism and nonprofit organizations with the information and digital assets they need to rapidly develop 3D OpenSim worlds and produce affordable, high-impact machinima for their projects. We will include Best Practices from the many fields of expertise employed when collaborating to develop virtual worlds and produce machinima. We will also feature the lessons learned during this project by our team of interns, faculty, consultants and guest experts. To follow the progress of our project, read our front page blog and the individual blogs of the project interns. Watch for announcements about events, milestones accomplished AND the publication of our Tool Kit and Manual!